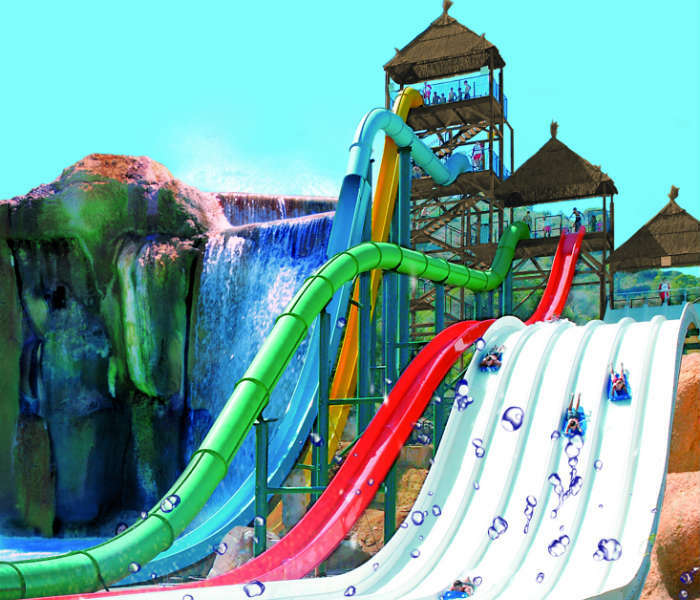 While you’re on your holiday this year, why not take a day to check out the nearby water park? 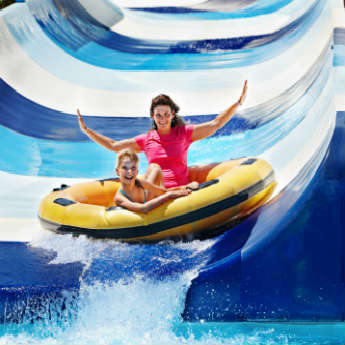 You can relax on the lazy river, take a ride down the rapids or try out one of these hair-raising rides! 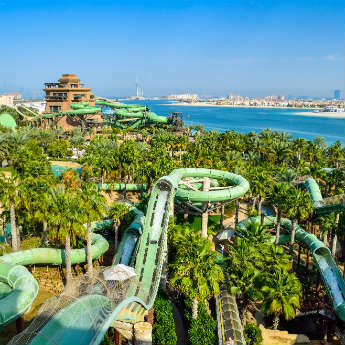 Go on, we dare you to try out one of the best water slides in the world! 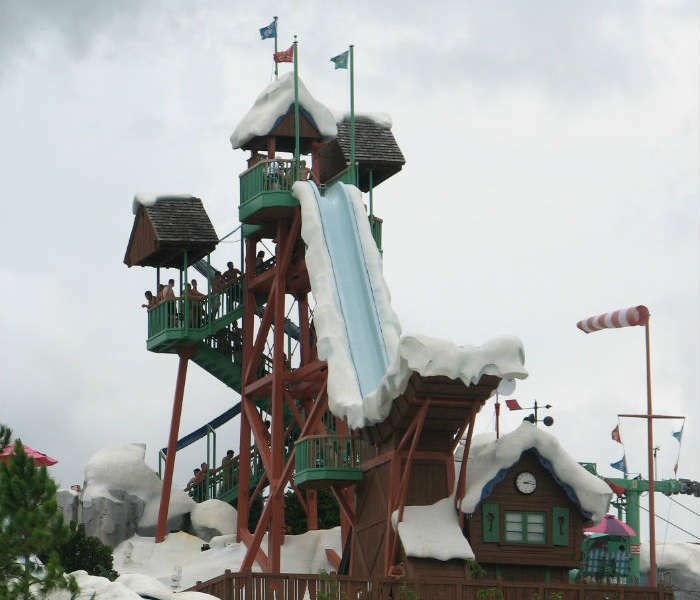 Just because this is a Disney water park, don’t think Blizzard Beach, in Orlando, goes easy on the rides. Summit Plummet is one of the fastest and tallest free-falling slides in the world. Do you dare launch yourself from the top of Mount Gushmore down the near vertical drop? If you do, make sure you check your speed on the digital stop clock. Riders often reach speeds of 50 – 60 mph! With two large sections of downhill waterslides and three exciting tornadoes that swirl riders around, Tantrum Alley is a high speed ride that you won’t forget! Grab three other people to venture with on Tantrum Alley and enter the eye of the storm before splashing out into the cool pool at the end of the ride! 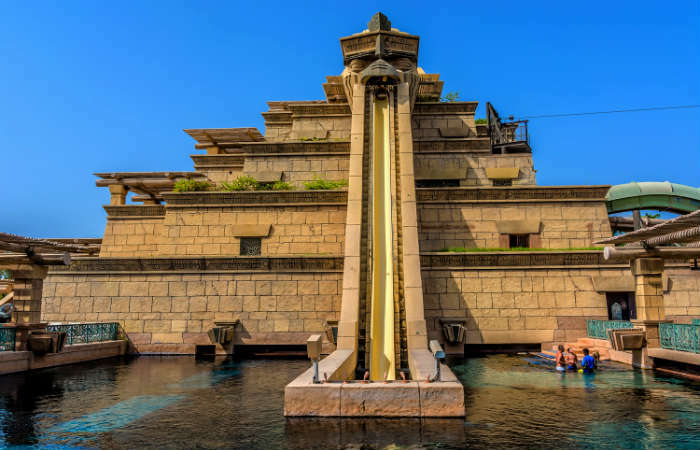 If you’ve ever wanted to hurl yourself down a 28 metre drop into a pool full of sharks, then the Tower of Power is perfect for you! Don’t worry, you come out of the other end okay – you’re protected by the all-important plastic tube of the slide! This ride for adrenaline junkies is one of the most popular rides in Tenerife so only do the drop if you have a head for heights and need for speed! 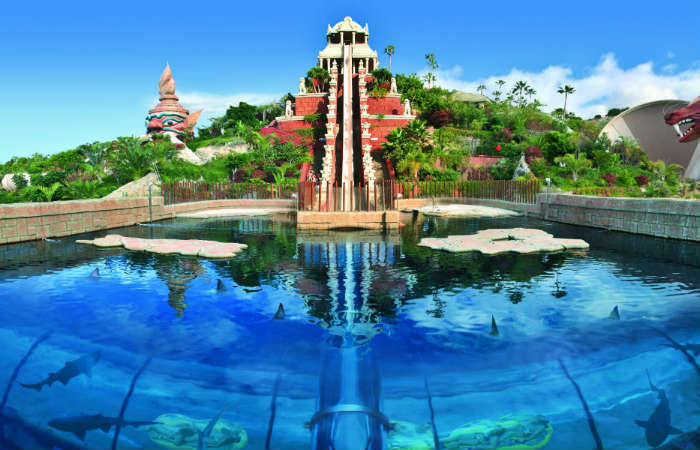 You'll soon see why this is one of the best water slides in the world! If you’re holidaying in Benidorm and want to venture out for some water park fun, Aqualandia is a short journey away from the centre of town! One of the most popular rides is The Big Bang – a unique attraction that creates a free falling sensation! Speed down this 100 foot slide down one of the tallest slides in the park! Scary but so incredibly worth it for the adrenaline rush – there’s no wonder it’s one of the best water slides in the world! 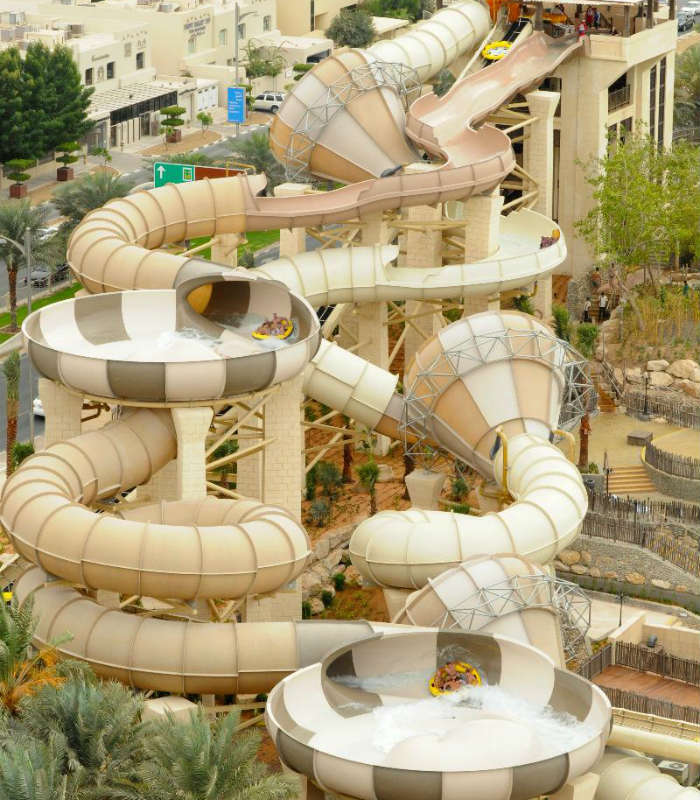 This complex of wild water slides are definitely something to try out if you’re in Dubai. With innovative technology creating a hair raising water coasters, you better hold on because you’re in for the ride of your life! Jet around the Tower of Neptune through the dark tunnels, blast onto the lazy river and hurry around to try the ride all over again! There’s four different variations of this ride so one adventure is never the same as the other! By Emma Hart - Petrified at the top of the Tower of Power!